With wintry weather just around the corner, turn to Murphy Home Improvement in Cincinnati, Ohio, to help keep your heating bill under control. This trusted home improvement company specializes in windows, doors, siding, and more—all aspects of the home that affect energy efficiency. Having energy efficient windows and doors isn’t just about saving the planet—they also help save you money when less heat escapes your home during the coldest months of the year. Your patio door is an oft-overlooked culprit of overly-high heating bills, and replacing it can save you money and give you peace of mind. 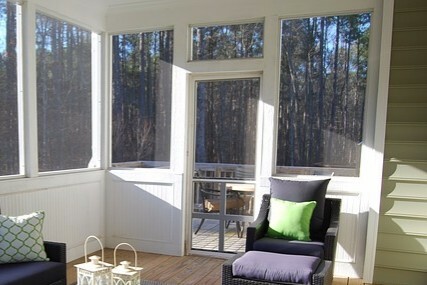 Doors & Windows: A large factor in keeping your home energy efficient is your doors and windows. According to the Department of Energy, 25% of your home's heat gets lost through small cracks and holes such as those around doors and windows. That's a big margin of error for potential savings on your heating bill! Heat Escapes Through The Patio Door: The door to your patio opens into the elements: sleet, snow, and freezing temperatures. If your patio door is made of vinyl, it has likely warped due to exposure, causing cracks where heat will escape. Hiring Murphy Home Improvement to replace this door will save you money on heating your home. Energy Efficient Products: Murphy Home Improvement carries a wide variety of storm doors and patio doors that will suit your needs both in terms of aesthetics and energy efficiency. Visit their showroom and browse through their models to choose the patio door that best meets your needs. Murphy Home Improvement is also proud to offer a 10% discount on doors and windows to customers who visit the showroom and bring their measurements with them. In addition to storm doors and patio doors, Murphy Home Improvement also provides window installation, siding, awnings, gutters, and more. Visit them online on their website, and call (513) 922-8989 to discuss your remodeling needs today.